In October 2011, engineers from the Plate Boundary Observatory began work on an NSF-funded RAPID project related to the study of the post-rupture crustal relaxation due to the M5.8 earthquake that struck near Mineral, Virginia on August 23, 2011. 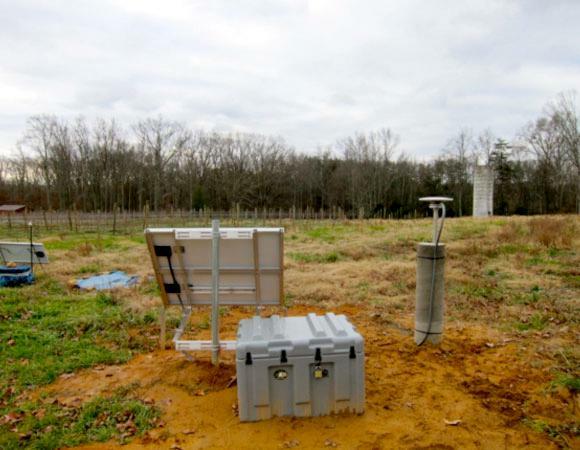 The project consisted of the reconnaissance, permitting, construction, and data communications for two permanent GPS stations near Louisa, Virginia, close to the epicenter of the earthquake. UNAVCO field engineers assisted the Principal Investigator with all the components of the fieldwork. The project was completed in November 2011. 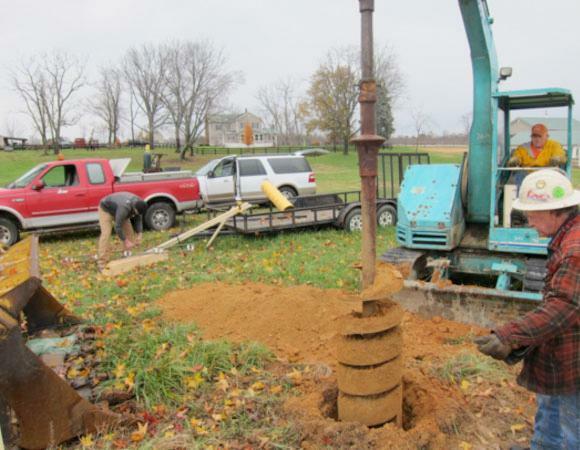 UNAVCO field engineers managed the drilling of two 18-inch diameter shallow boreholes used to construct the GPS monuments. 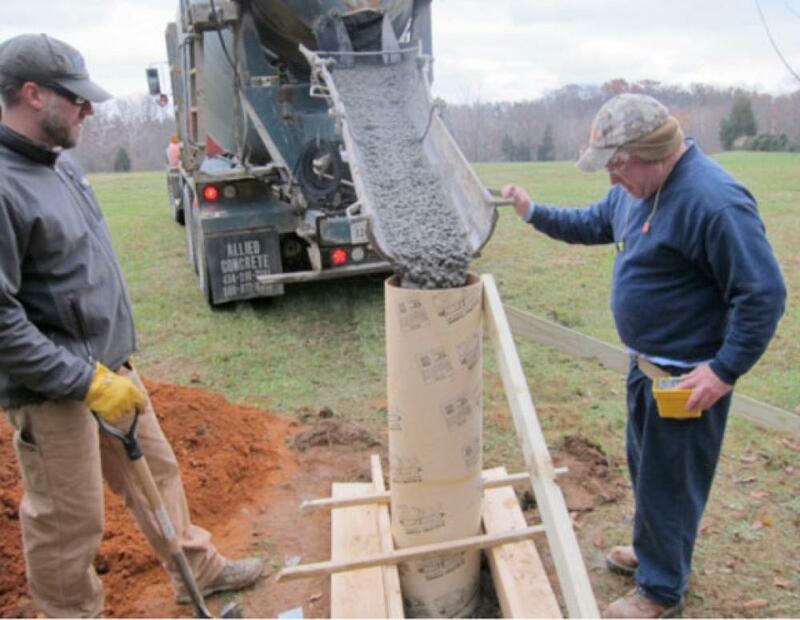 The engineers poured concrete for the surface pillar monuments using a 12-inch diameter form and tied the two pillars together using sections of rebar. 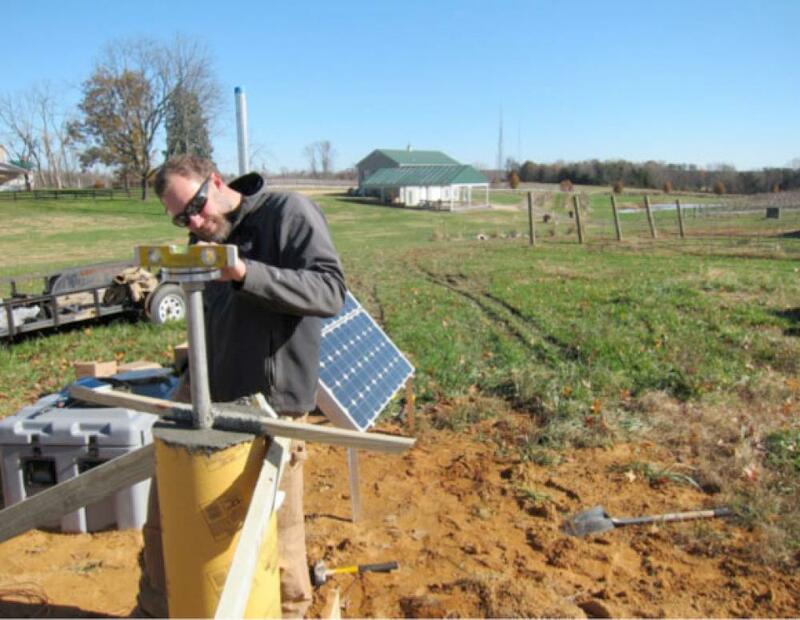 The hardware at each site included a Topcon GB1000 receiver from the EarthScope GPS campaign pool, a Trimble Zephyr Geodetic antenna, a Proxicast cellular modem, and a SCIGN mount. Both stations utilize solar-powered DC systems. The Mineral, VA earthquake presents a rare opportunity to study the scientific problems associated with Eastern North American intraplate seismicity. Data from these stations will be processed via the Plate Boundary Observatory processing centers. The stations (VA01 & VA02) are currently operating and data from the stations are being archived at the UNAVCO Boulder Facility. All data and PBO-processed products from these event response stations are openly available from UNAVCO. Archived data can be viewed and retrieved through the UNAVCO Data Archive Interface. To capture the full range of post-rupture relaxation, installing the GPS stations as quickly as possible was critical to the success of the project. Typical of this type of project, obtaining the land-use permits required for building and operating the GPS stations was one of the biggest challenges. To expedite the permitting process, reconnaissance efforts focused on private landowners.